Bread--all kinds of bread--is one of my favorite comfort foods. I call this white bread Classic because it's the bread you should master first (unless you're gluten-free, of course) even if you prefer whole-grain bread. It's perfect for any kind of sandwich, including tea sandwiches. Once you've got it down, you can start experimenting with add-ins. People have a tendency to make a way bigger deal out of making bread than it needs to be! Whether it's taking the temperature of the dough or calculating hydration percentages, sure, have fun with it if it interests you; if not, don't let all that keep you from making homemade bread. Do leave a comment and tell me about your favorite method or best tip, or ask a question. 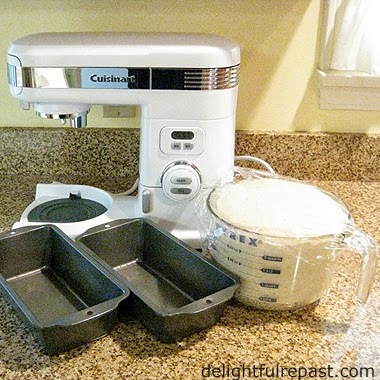 Do you use a bread machine? That's the one thing I haven't tried. This recipe can easily be halved, but make all four loaves and freeze or give away what you can't use! 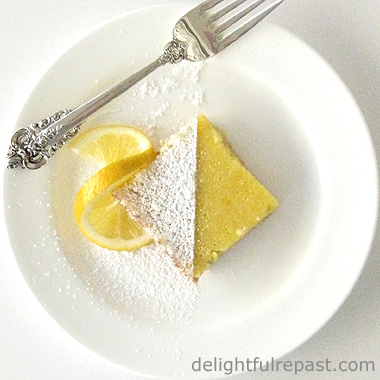 1 In the mixer bowl, whisk together 4 cups flour, sugar, salt and instant yeast. Attach the flat beater and mixer bowl to the mixer. Heat the milk or water and butter or oil until quite warm, about 120 degrees. On speed 2, mix in the warm liquid until thoroughly mixed. Mix in 4 cups flour, 1/2 cup at a time, until a dough forms. Cover and let rest for 20 minutes. Or do the initial mixing of the dough by hand. In the mixer bowl, stir together 4 cups flour, sugar, salt and instant yeast. Heat the milk or water and butter or oil until very warm, about 120 degrees. Stir the warm liquid into the flour until thoroughly combined. Stir in 4 cups flour, 1/2 cup at a time, until a dough forms. Cover and let rest for 20 minutes. 2 Remove the flat beater and attach the dough hook. On speed 2, add about 1 cup flour until dough forms a smooth ball that cleans the bowl. Continue kneading for 2 minutes, adding flour (from the remaining 1 cup) just 1 tablespoon at a time as needed to keep the dough from sticking to the bowl. Set the timer for 4 minutes and knead the dough on speed 3. 3 Clean out the mixer bowl or use another 5.5-quart container (preferably with straight sides). Lightly oil the bowl and put the ball of dough in it, turning dough to oil all sides, cover the bowl loosely with plastic wrap. Let rise in a warm, draft-free place for about 1 to 2 hours, or until doubled. Note: This time I divided the dough and did the first rise in two containers, one a 2.5-quart bowl and the other a 2-quart Pyrex measure (pictured below), as I wanted to use my mixer bowl for something else. Note to self: An extra mixer bowl would come in handy! 4 Lightly oil four 8 1/2-by-4 1/2-by-2 1/2-inch loaf pans, also known as 1-pound loaf pans (another 1-pound loaf pan). Turn risen dough out onto lightly floured (still from that remaining 1 cup) surface, flattening gently to break up any large bubbles. Divide* dough into two equal pieces, then each of those into two equal pieces. Work with one piece at a time, keeping the others covered. Press each piece into a 9-by-12-inch rectangle. Fold in short ends of dough until piece is about 6 inches long. Roll from one rough edge, pinch seam to seal and roll gently to form a tight log the length of pan. Place seam-side down in prepared pans and press dough into pans so that it reaches sides, ends and corners. * I'm a rather precise person, so I always use my OXO Good Grips 11-Pound Digital Scale to divide the dough precisely, making sure all my loaves and rolls are the same size. 5 Cover loaves loosely with oiled plastic wrap and let rise for about 1 hour, or until dough rises just above top of pans and springs back just a little when lightly poked with a floured finger. If your house is cool and you want to help things along, heat oven to 200 degrees, allow to heat for 2 minutes, turn off oven and put dough in to rise. 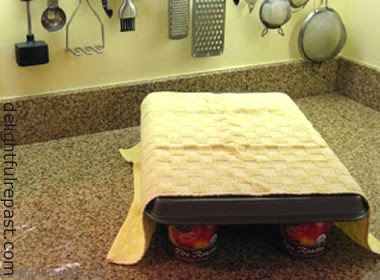 When baking just two loaves, I sometimes put the pans and a mug of hot water under an 11-by-17-inch baking sheet held up by a 1-pound can in each corner and covered with a towel (see above). Unless I'm in a hurry for some reason, I prefer to let the dough rise slowly; that's when flavor is developed. 6 During the last 20 minutes, heat oven to 450 degrees (taking the rising loaves out first!). You don't have to do it--I don't always--but sometimes I like to score the top of the loaves just before putting them in the oven; with a very sharp small knife, cut a not more than 1/4-inch deep line down the middle of the dough. 7 Put loaves in oven and reduce heat to 375 degrees. Bake at 375 degrees for about 35 to 40 minutes or until loaves are golden brown, shrink from sides of pans, and bottoms of loaves sound hollow if tapped (internal temperature 200 degrees on instant read thermometer). Remove immediately from pans and let cool on wire rack for 1 hour. Wrap well as soon as bread has cooled thoroughly. Store at room temperature or freeze in zipper freezer bags. 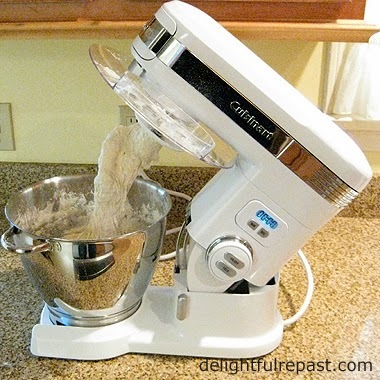 Glad that you are enjoying using your new mixer! That I am, Amy! Next up, angel food cake! That bread looks perfect. 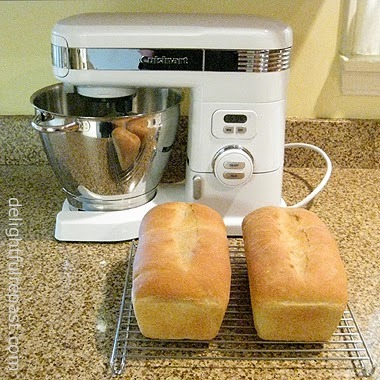 I had a bread machine years ago but I did not like the shape of the loaves that it produced - too small and "short". I'd rather bake them in the oven in a standard-sized loaf pan. I do have a kitchenaid mixer that has a dough hook. I have not made bread in ages, perhaps when the weather cools down here I'll try it again. 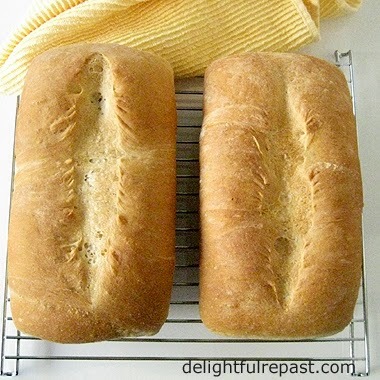 How do you store the bread to prolong it's life and freshness? Thanks, Lana! I just wrap it well, maybe stick it inside a bag the last loaf of store-bought bread came in and stick it in the breadbox. I slice it as I use it, rather than slice the whole loaf at once. I believe that we share the same passion for the bread. Your sandwich loaves look perfect, Jean. Thanks, Angie! Yes, I think we do love bread, don't we?! 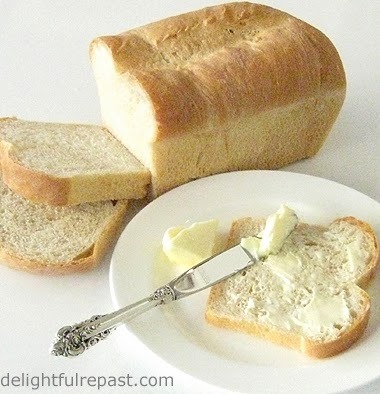 I have always loved homemade classic white bread..there's just something about it that takes me back to being a kid again! The loaves look fantastic, Jean! Jenn, thank you! Yes, and it reminds me of the bread my grandmother made. Sully, I like that! "Yeast is yeast, and west is west." If only you had won the mixer, it wouldn't be that much of an effort. Ahhh, machines! Yes, it's great to have tools to assist and amplify what we can do. We have a stand mixer that is actually older than we are, its an original mixmaster, handed down from Fiona's Grandmother. It's had a couple of refurbishments along the way, some new beaters etc. but its still going strong and used to make some absolutely delightful repasts in our kitchen. And of course, more recently we purchased a Thermomix, which is an absolutely amazing tool for creating amazing things in the kitchen. We now use it to do the dough for our breads and it's brilliant. I highly recommend you test one some day, everyone I know who has one raves about them. Grant, thank you! I have indeed heard great things about the Thermomix, but I've never actually seen one. Looks delicious Jean! I like the fact that you use the paddle first and then move to the dough hook. I make pizza dough about once a week and learned this trick along the way. If I don't, the bread gets fluffy instead of chewy. I believe it has to do with the proteins in the flour needing to get long stretchy chains. I like chewy breads. I'll be making some bread this afternoon! Thanks, Richard. I think the dough gets more thoroughly mixed if you start with the paddle. I love all sorts of bread and have always made the chewier types by hand. Will have to experiment with doing them in the mixer--now that I finally have one! Your bread looks perfect. THe crust is yummy. I knead my bread by hand, but given I live close to the sea, the humidity level is sometimes a problem. Magali, thank you! Humidity can be a problem (yeah, it makes my hair frizz! ), makes people tend to use too much flour. Greg, I always announce my giveaway winners in the comment section of the giveaway post. The winner of the Cuisinart stand mixer was a lovely woman named Ann who is looking forward to baking weather and using her new black mixer! Your loaves turned out perfect! Thank you! A nice loaf of bread is a thing of beauty! There is nothing better than the smell of break baking. Gorgeous. Sarah, thank you! Sure you have some wonderful aromas coming out of your kitchen too!